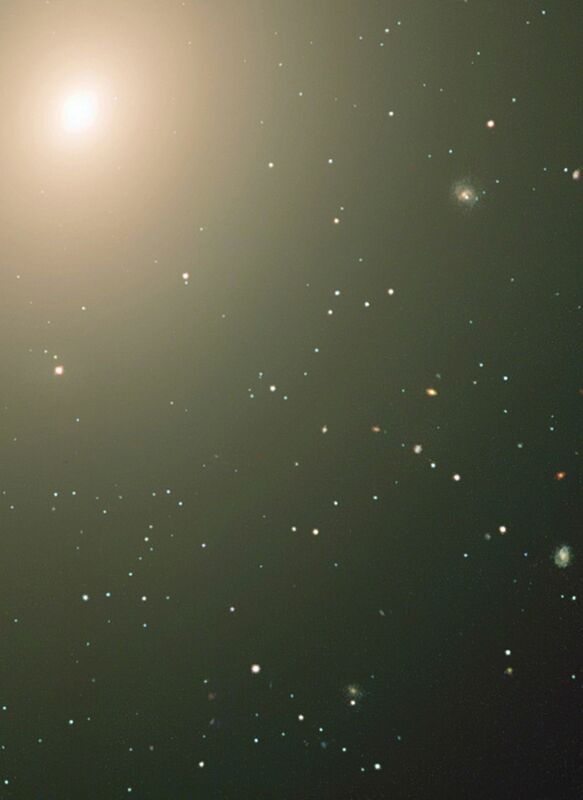 Colour composite of the elliptical galaxy NGC 4365, prepared from two exposures with the HST and one from the VLT. Many of the objects seen are stellar clusters in this galaxy. There are also a large number of background galaxies in the field.